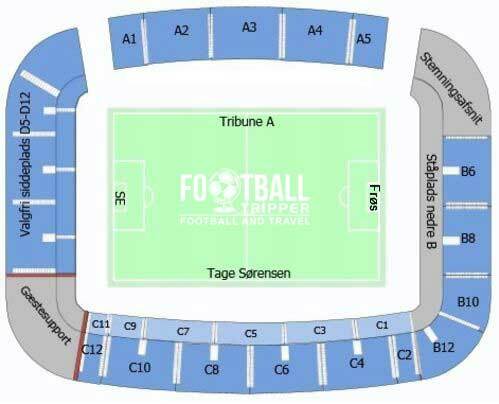 Blue Water Arena formerly known as both Esbjerg Idrætspark and Esbjerg Stadion is a 18,000 capacity purpose built stadium located on the coast of the Jutland Peninsula in south-west Denmark. 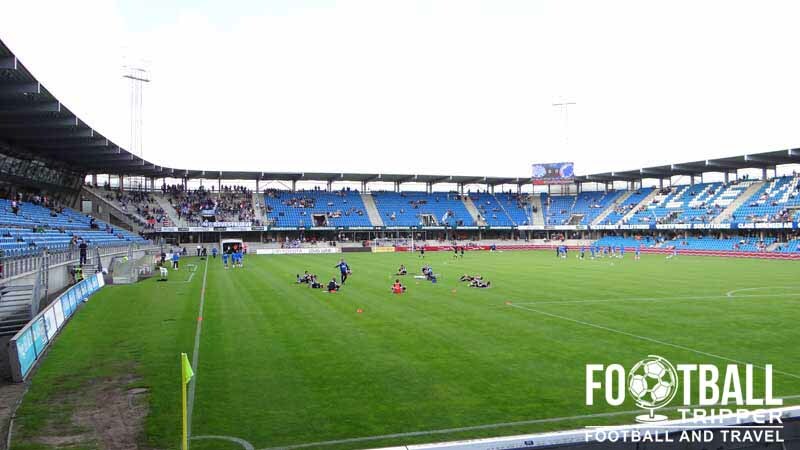 Home to Esbjerg fB, the most recent renovations occurred in 2009. 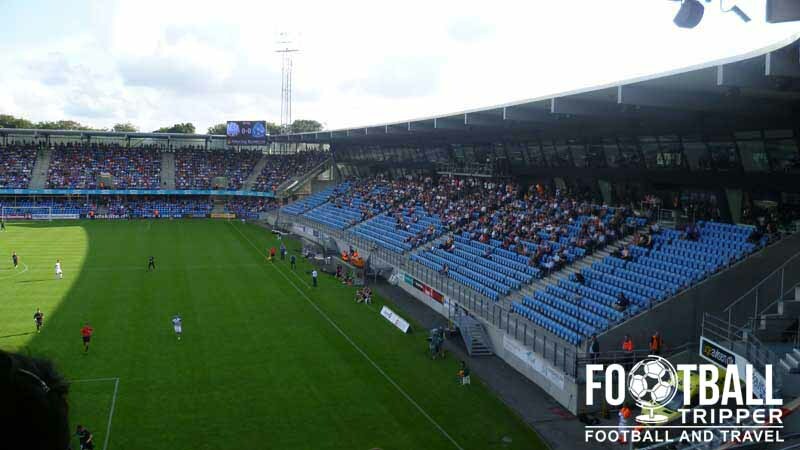 The Blue Water Arena is a football stadium located within Esbjerg Idrætspark or sportspark which has been used by the local football club since 1955 when the ground was referred to as Esbjerg Stadion. 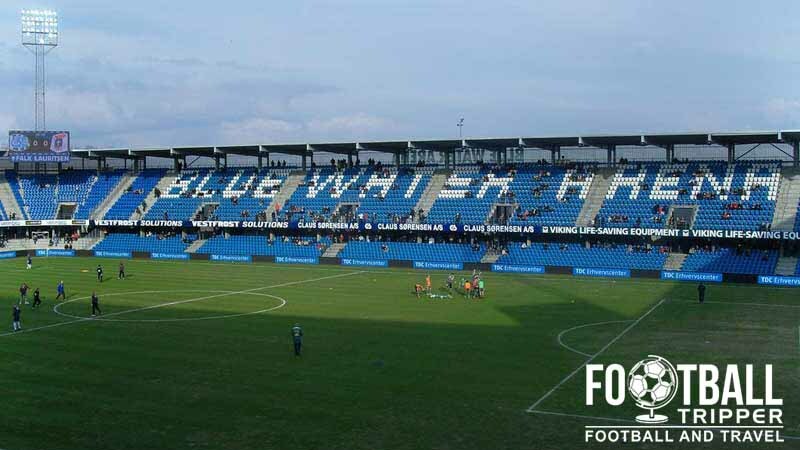 Currently with a capacity of 18,000 which included 11,451 seats, Blue Water Arena is the fourth largest stadium in Denmark ahead of the Nordjyske Arena although traditionally it was much smaller. In 2004 the program of modernisation began with the main grandstand completely rebuilt with a shiny new glass exterior, and three years later further funds were allocated to the completion of the project which targeted the remaining three stands. In total over 100 million kr was raised with the Municipality of Esbjerg allocating 72.2 million in 2007, and the football club contributing the remaining 32.8 million kr. The newly raised funds allowed the two goal-end to be rebuilt in-line with the new main stand, and the former grandstand was completely renovated to help create a consistent match-day experience throughout the stadium. Phase 2 was completed in 2009 and on the 9th August the club inaugurated the new facilities with a Superliga match against Odense Boldklub. Historically the ground has hosted a handful of International fixtures, although most often these are youth-matches featuring the under 21s and under 19s. In 2011 Denmark took on Finland in a Nordic Derby, and two years prior to this the National Team took on South Korea in a friendly match. To satisfy both FIFA and UEFA regulations the terraces can be converted to seating, which resulted in an International capacity of 12,100. Blue Water Arena is comprised of four stands: North, East, South and West. Away fans are housed within the south-east corner in the section marked “gaestesupport” in the seating plan above. Following the same pattern as the rest of the horseshoe there are two tiers however most visiting supporters watch the game from the upper section as not only is it larger, it also offers better views of the pitch. Please note that the away section is fully terraced. If you want to sit down then there is a neutral section in sections C and D of the grandstand. There is the EfB café which is open up to two before kick-off on matchdays and one hour before kick-off for when Esbjerg play away games. There is a Nike run Fan Shop at Blue Water Arena located within the north stand which is typically open for two days a week, and for up to two hours before kick-off on matchdays. The traditional blue and white stripes of Esbjerg fB are always worn at home. Tickets can either be purchased online from the official website or in person from the ticket booths located outside the stadium which open two hours before kick-off on matchdays. Section B (North): 110 kr. Section C (East): 130 kr. Section D (South): 90 kr. Please note that prices increase by kr. 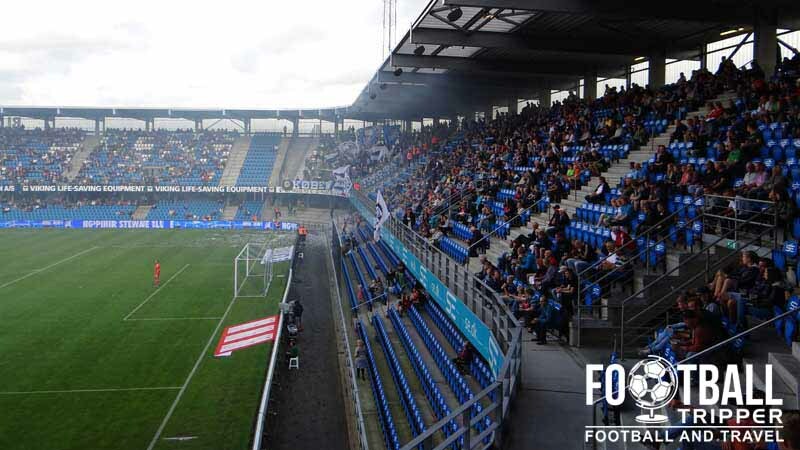 20 when Esbjerg take on Brondy and FC Copenhagen who are the two largest teams in Denmark. Blue Water Arena is located adjacent to Vognsbølparken approximately 2.5 km north-west of Esbjerg’s city centre. As the municipality of Esbjerg isn’t the biggest in Denmark you can easily walk to the stadium in around 25 minutes. There are several car parks at the stadium complex just off of the Gl. Vardevej road which operate on a first-come first-served basis on matchdays. The striking exterior of Esbjerg station has been described as being inspired by Dutch Renaissance architecture. From Esbjerg Station you can catch bus number 4 to the Blue Water Arena stop which is called “Stadionhallen”. Esbjerg Airport is only 11 km north east of the town centre with Billund Airport the second closest International flight hub at a distance of 76 km. The town’s accommodation options can all be found within the area outside the train station. Two of the more affordable options are Hotel Ansgar and Cabinn Esbjerg which are both three star establishments and close to the urban centre.